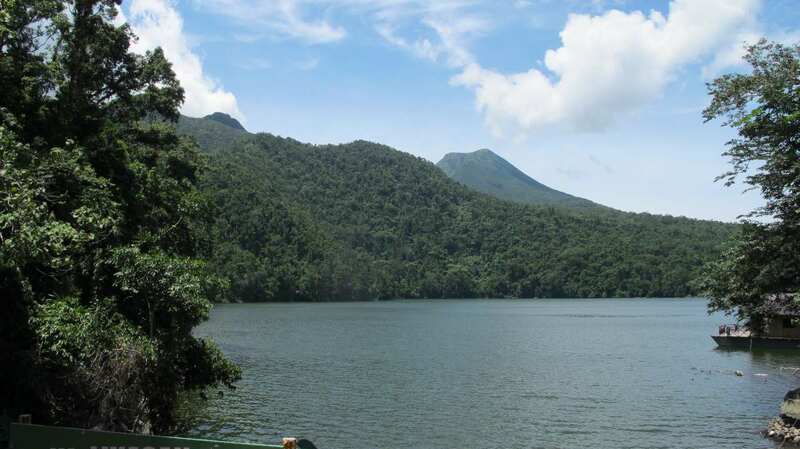 Bulusan Volcano is one of the very active volcanoes in the Philippines. This afternoon, October 23, 2016 it errupted again short after 3:00 p.m.
Mount Bulusan is currently under PHIVOLCS Alert Level 1. It’s recent activity report shows several volcanic earthquakes per day. 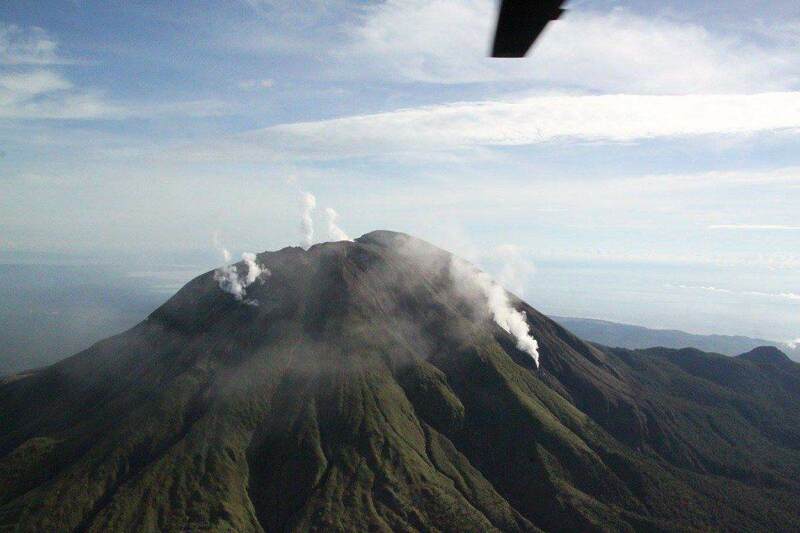 Yesterday PHIVOLCS recorded 29 volcanic quakes on the slopes of Bulusan Volcano. We had been up on Mount Bulusan on September 13, 2016. Everything had been quiet and the lake invited us to swim in the fresh water. Bulusan Volcano is impressive but not such a beauty as Mount Mayon. 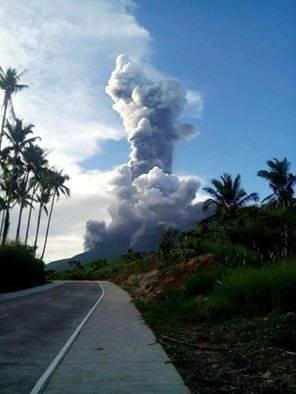 PHIVOLCS had published the image below on October 7. It shows increased activity of active fumaroles. PHILVOLCS reported that new fissures, which formed in late September on the southeast side of the summit cone, have recently become more active and produce strong degassing and occasional ash venting. Apparently, this activity has further increased since yesterday’s explosion: this indicates that the internal hydrothermal system is now more pressurized and more unstable than before. Currently, there is no information regarding the possible presence of fresh magma. Seismic activity is only slightly elevated and only weak inflation is visible on instrumental data. The alert level remains at (only) 1, as it is assumed that the activity is solely caused by the hydrothermal system and not directly by ascending magma. The situation is followed closely because this could of course change quickly. 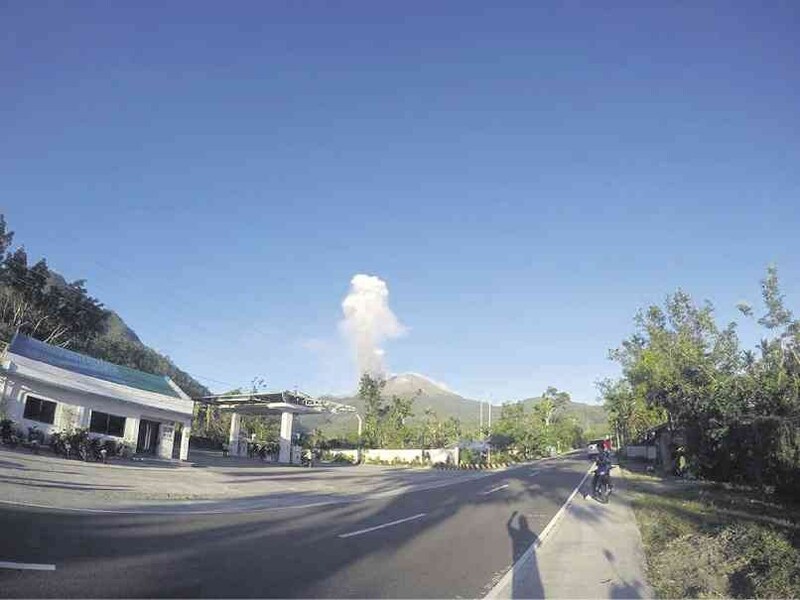 Last week, on October 18, Bulusan Volcano spew ashes. The new emissions came from the new vent on the southeast slope. The resulting ash plume rose about 1000 m and caused light ash falls. 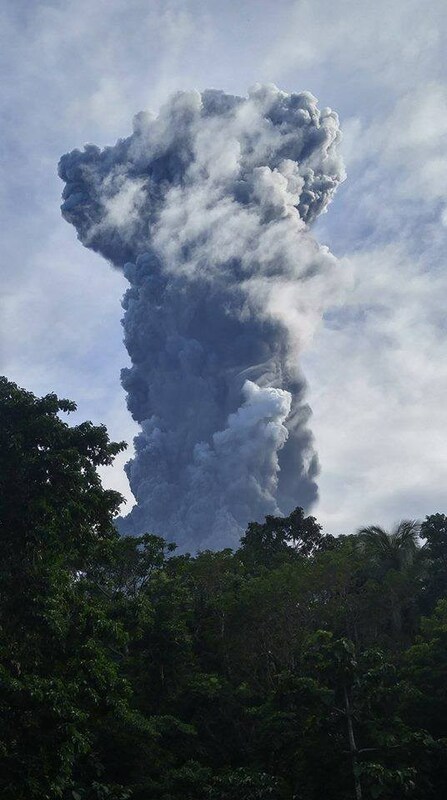 According to PHILVOLCS, the activity is driven entirely by steam and does not involve fresh magma. Alert level of the volcano remains at 1 with an exclusion zone of 4 km radius around the summit crater. Steam driven activity is only dangerous directly on the volcano slopes. This is why Alert Level 1 doesn’t allow mountaineers and volcano addicts to climb. These activity isn’t dangerous for the population around the “fire mountains”. 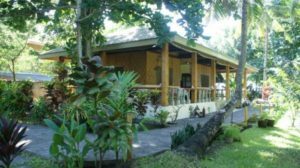 Bulusan Volcano’s seismic monitoring network recorded twenty-nine (29) volcanic earthquakes during the past 24 hours. Wispy to moderate emission of white steam plumes that rose up to 350 meters from the active vents and drifted northwest was observed. Sulfur dioxide (SO2) emission was measured at an average of 102 tonnes/day on October 21, 2016. Precise leveling data obtained on August 16-25, 2016 indicated slight inflationary changes of the edifice relative to May 2016. Similar inflationary trends were recorded by continuous GPS measurements until 30 September 2016, indicating pressurization beneath the edifice. 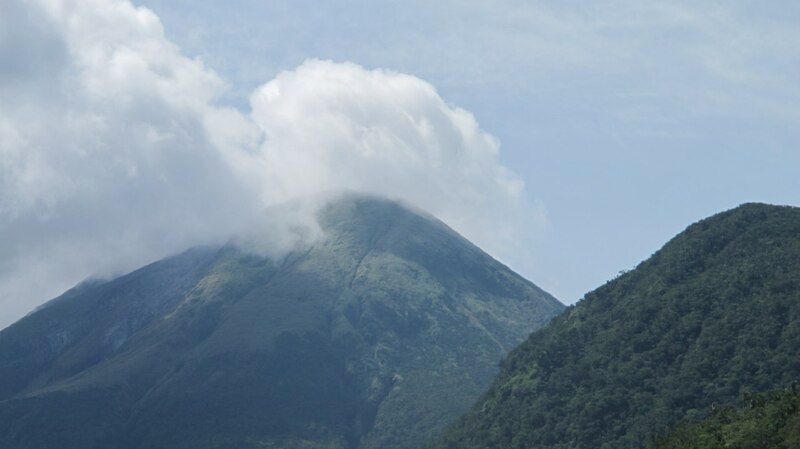 Alert Level 1 (abnormal) remains in effect over Bulusan Volcano. This indicates that hydrothermal processes are underway beneath the volcano that may lead to steam-driven or phreatic eruptions. Local government units and the public are reminded that entry into the 4-kilometer radius Permanent Danger Zone (PDZ) is strictly prohibited and that vigilance in the Extended Danger Zone (EDZ) must be exercised due to the increased possibilities of sudden and hazardous phreatic eruptions. 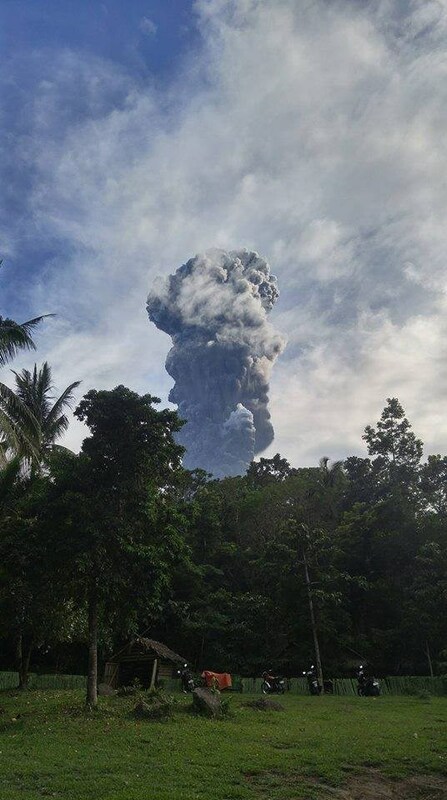 Civil aviation authorities must also advise pilots to avoid flying close to the volcano’s summit as ash from any sudden phreatic eruption can be hazardous to aircraft. Furthermore, people living within valleys and along river/stream channels especially on the southeast, southwest and northwest sector of the edifice should be vigilant against sediment-laden stream flows and lahars in the event of heavy and prolonged rainfall. DOST-PHIVOLCS is closely monitoring Bulusan Volcano’s condition and any new development will be communicated to all concerned stakeholders. Next story Italianni’s Restaurant Cagayan de Oro – oh no!